It's official. We are finally in the midsts of summer, and amazingly that has brought an actual heatwave - I actually can't remember the last time we had a heatwave that lasted more than one day! As you can see, I tend to keep my make up to a bare minimum, because anything more would just be a complete waste of time! During the hot summer months, I tend to shy away from liquid foundations, because they tend to turn my skin into a cakey oil slick at this time of year. So, ordinarily you'd find me only wearing mineral powder foundations, if anything at all. 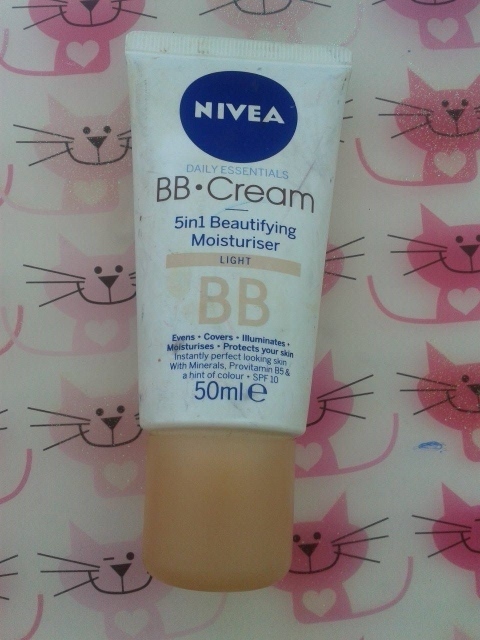 This year, however, I have chosen to wear this BB Cream from Nivea, predominantly for its moisturising qualities. My skin appears to quickly change between being really oily, and being quite dry, so a moisturiser is necessary for me. I also have a habit of going bright red, in my some areas (forehead and cheeks mainly), which gets quite embarrassing, so I was keen to use a product that subtly hides the redness, which this BB Cream does quite nicely. It doesn't offer much SPF protection, unfortunately. But, it makes me feel more comfortable taking my skin outside! 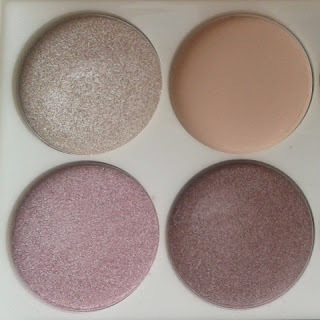 Although I generally tend to prefer brighter colours, this year I am really loving neutral shades, especially from the Primark palette that I reviewed a couple of weeks ago. I love them because they're so feminine and pretty, whilst brighten up my small eyes, which is really nice. I've also been pleasantly surprised, since my first impressions post, with both the overall coverage of these shades, and how long they last - both of which have really surpassed my expectations. 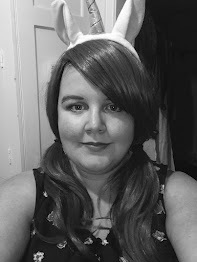 In terms of Eye Liner, I have to admit that I tend to avoid it, especially on the lower lash line, because it just ends up running down my face. Well, either that or I end up rubbing my dry eyes. Having dry eyes, during the summer, is another reason why I opt against bright eye shadows, or eye liners, because heavy eye make up tends to irritate my eyes. 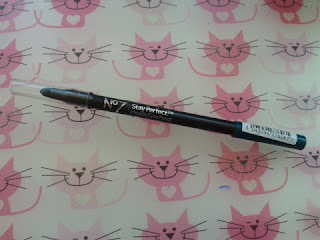 However, if I do wear an eye liner, I've been really liking the Stay Perfect Eye Liner in Green from No.7. I bought this back in May with one of Boots' No.7 vouchers and really like that it comes with a smudge sponge for smoky looks. I've actually been quite surprised with how nice the i-define mascara from Jemma Kidd looks when worn with a pale eye shadow, and no eye liner on either the upper or lower lashes. It really opens up my eyes, and creates quite a cute (I think) look. I picked this up a few months back, free with a magazine (I forget with one), but I've been really impressed with this mascara. It separates my eye lashes, and doesn't leave them looking like spidery legs. 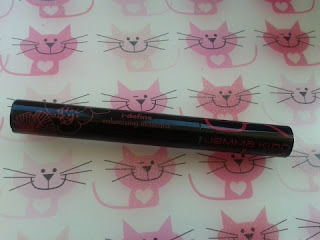 After years of only using Rimmel, it's nice to have found another one that I really like. can not get enough of them, and at this time of year I tend to flit between two different ones. 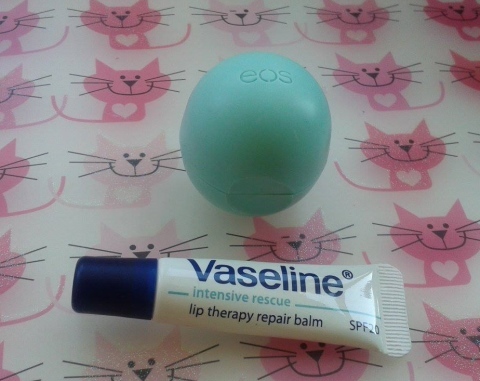 I like to use Vaseline's Intensive Rescue Lip Therapy Repair Balm because it has SPF in it. As someone who has experienced sunburnt lips, I strongly recommend this product, or anything else that contains SPF, because it is not a nice experience! I tend to mix that up with my favourite brand of lip balm, which is of course Eos. This specific one is Sweet Mint, which I like, but personally I prefer the Summer Fruits one. I've talked about these several times, however, for anyone who missed it they smell divine and are incredibly moisturising, which is great when the sun is threatening to dry your lips out. 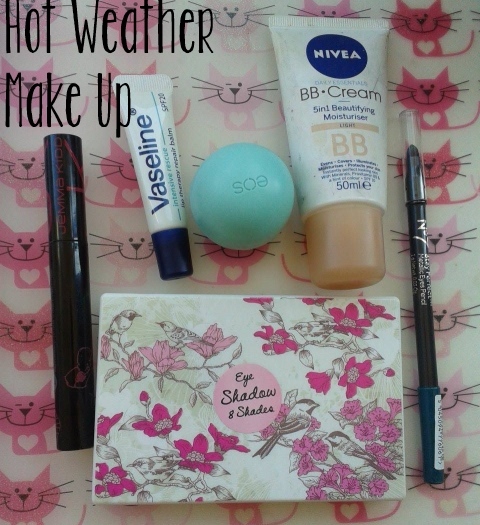 So, that's what make up I'm wearing during the hot weather. What are your go-to products during the summer?